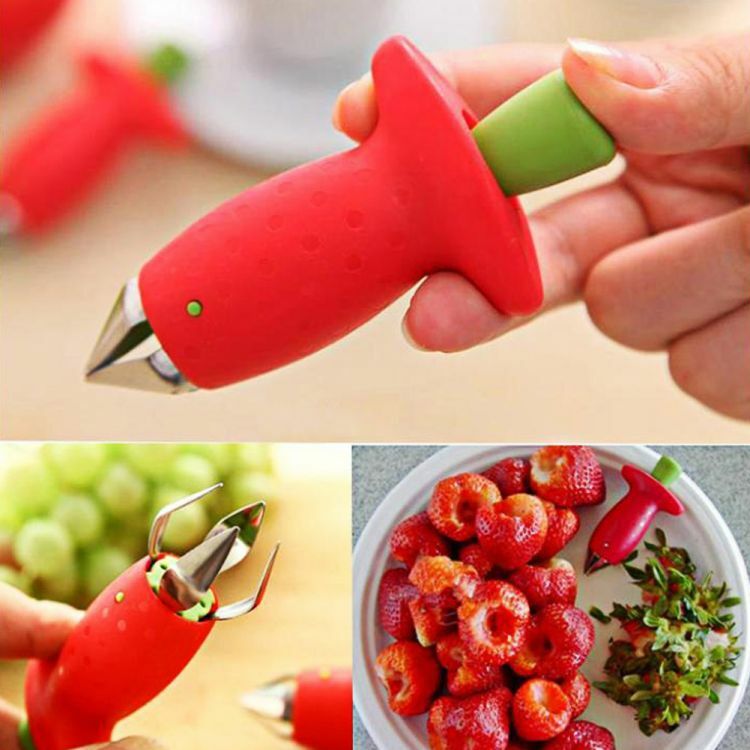 Do you love strawberries but hate cutting out the stems from strawberry without wasting a part of the strawberry? We've found the perfect tool for you! The Strawberry Leaf Remover is an ingeniously simple and handy device that removes the stem twice as fast while leaving as much fruit as possible. This tool is ideal because it works on ANY size strawberries and it also works on tomatoes and similar soft foods.